A cruise ship that housed Hurricane Katrina victims and acted as a floating hotel during the 2014 Winter Olympics is for sale. Buzz60’s TC Newman has the astronomical price! If you are planning on buying a boat, a beloved cruise ship is for sale for US$55 million. 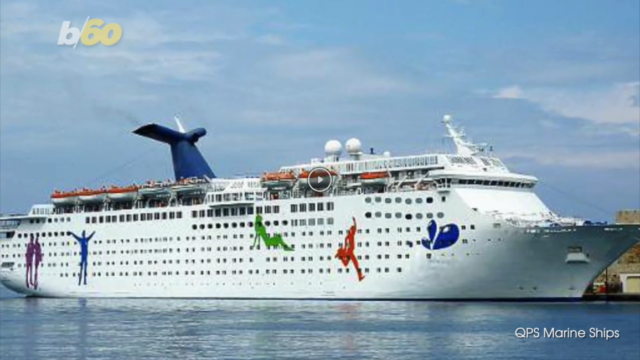 We jest, of course, as that figure would be out of most people’s reach, but former passengers and cruise ship aficionados may be interested to learn that the boat formerly known as the Carnival Holiday and now the MS Magellan is currently on the market. Built by Aalborg Værft in Denmark, the 46,052-tonne vessel launched in 1985 as Carnival Holiday and can carry 1452 passengers and 660 crew. At 728 feet long, the nine-deck ship’s attractions included a dance club, a pub, a card room, a piano bar, a library and three restaurants. It was considered revolutionary for its time thanks to its enclosed double width promenade, and it played an important role in pioneering the short cruise market, sailing from Mobile, Alabama.